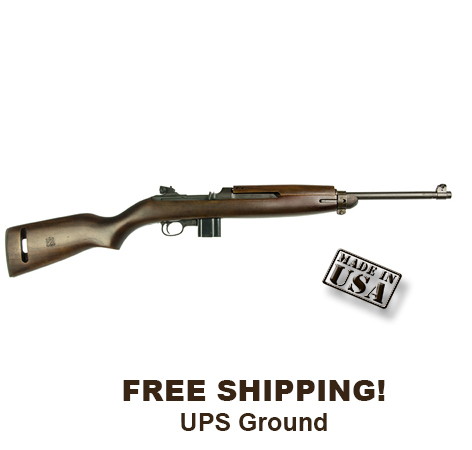 Inland Depot Home>>M1 Carbines and Accessories>>M1 Carbine "1944 Model"
The 1944 M1 Carbine has the same features as the 1945, but with a Type 2 barrel band and 10 round magazine. It is available for sale in most states with magazine capacity and bayonet lug restrictions. Like the 1945 model, the 1944 features adjustable rear sights, push button safety, round bolt, and "low wood" walnut stock.